The relationship between pink and brides seem to go way back, and with time the love and designs have developed tremendously! From bold kalidar lehengas to simple kanjeevaram sarees, pink bridal wear seems to have a different kind of charm on us. 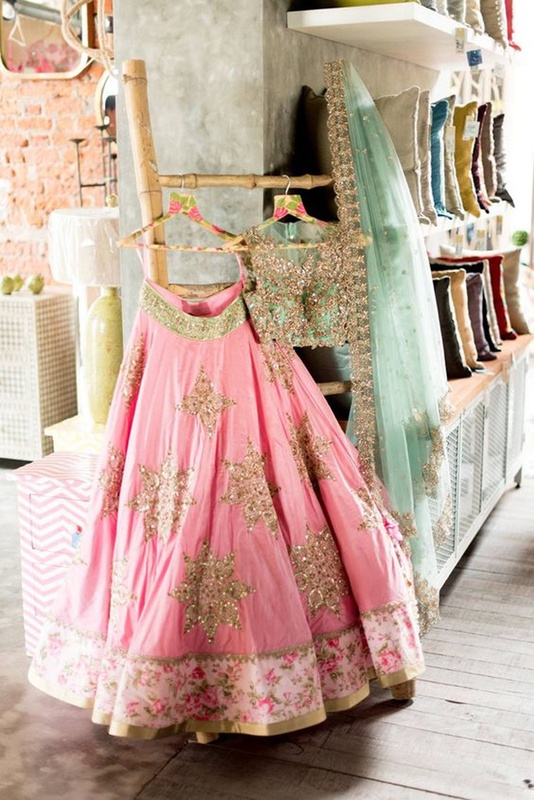 So we’ve put together fifty of our favorite pink bridal outfits that are sure to make you go “I want that!” Flowy pre-wedding shoot dresses, pretty pretty chiffon engagement sarees, heavy bridal lehengas and so much more – scroll down to see all of these pink hued beauties!